£38 Sorry - now sold! 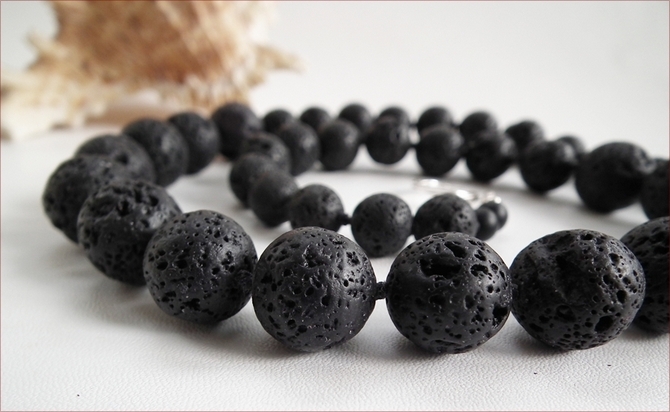 Lava stone is not something I have worked much with but, having made something from it for myself I found I really liked it. 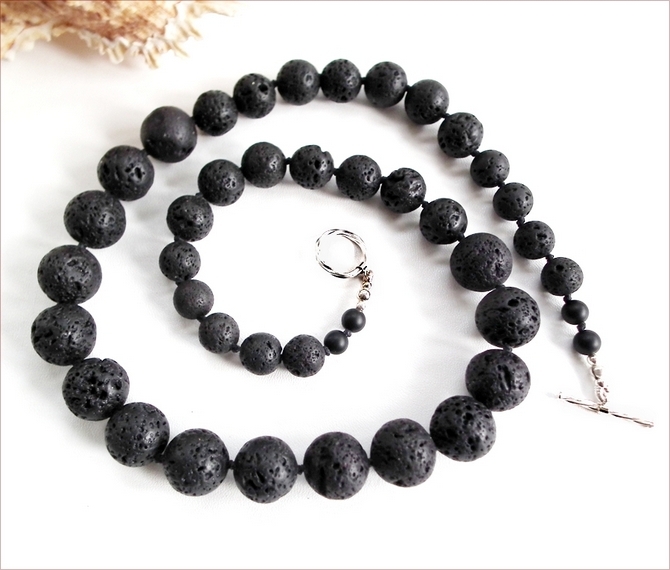 Lava stone is made from the lava that erupts from volcanoes! 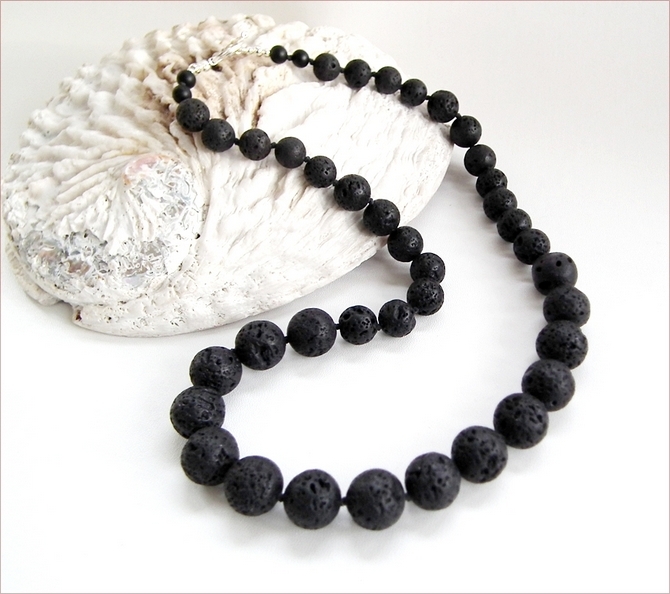 This uses round lava stone beads, graduating in size and knotted together with black nylon cord. 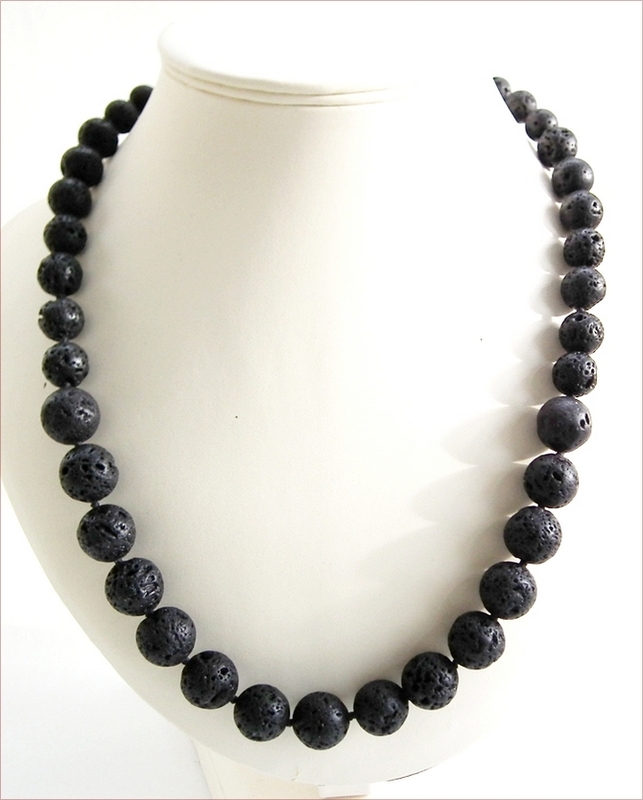 This gives the necklace a nice drape, as well as strength - although lava stone is not heavy. 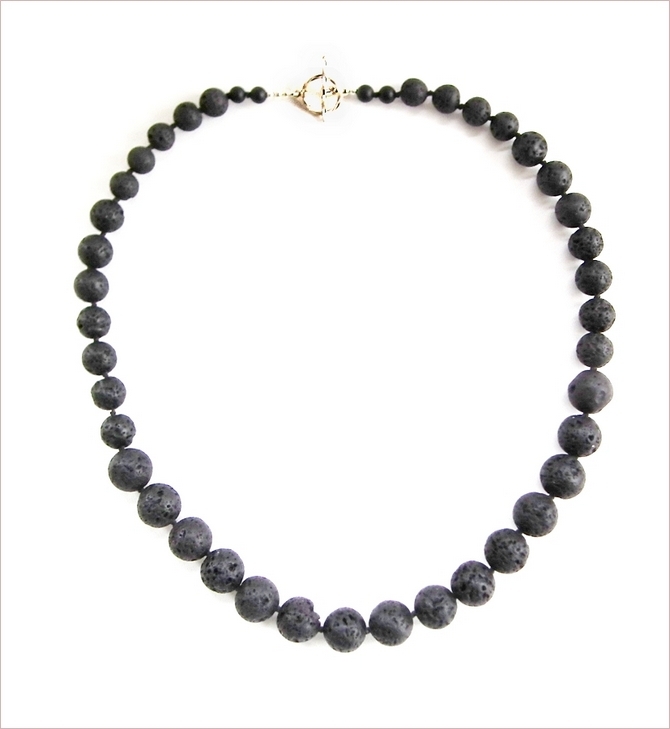 The necklace is 23" (590mm) fastening with a Karen Hill Tribe silver (purer silver than sterling) toggle clasp. A lovely little necklace that you will find yourself wearing time and again - it goes with so many things!